Used to wound yarn on a beam. We can make a direct or sectional warping machine equipped with different types of creel. On request we can make you a custom machine for specific applications. Warping speed up to 1200 meter per minute. 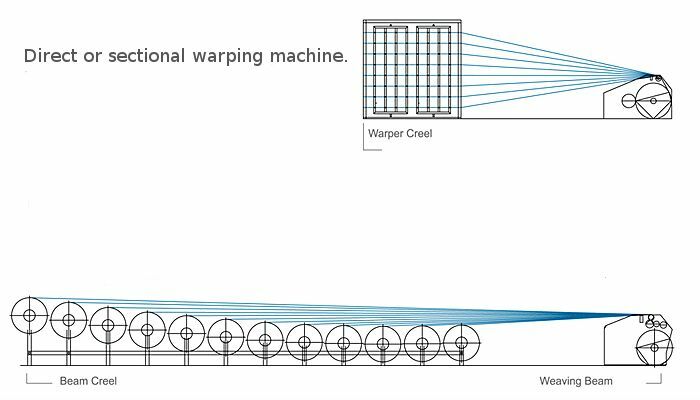 Direct or sectional warping machine with warper of beam creel.